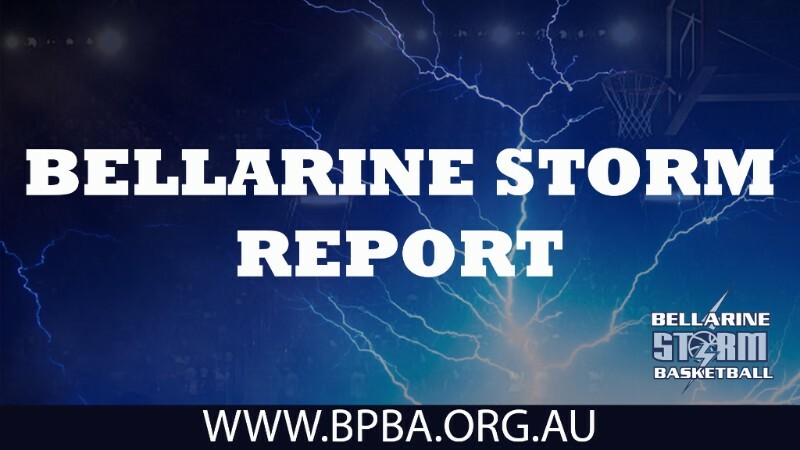 With playoff basketball only a week away Bellarine Storm junior teams have been shoring up their ladder positions to make a run at the league titles. Last Friday night the 12 2 boys locked away top spot and a guaranteed birth in the preliminary final with a comprehensive win over Ivanhoe/Darebin, improving their overall record to 16-1 with a game to play. The 14 1 boys and 21 boys also secured double chances, the former in a dominant performance over Sunbury 2 and the latter in a 2pt thrill at McKinnon. The 12 1 boys had an ordinary night falling to Geelong and putting their double chance in finals in jeopardy. A win this week would secure 2nd rung on the ladder while a loss could see the boys drop as low as 4th and face an elimination final first up. The 16 boys win over Whittleseas 2 leaves the destiny of a double chance in their own hands. A win in the final game of the regular season would secure 3rd while a loss could drop them to 4th depending on other results. The most complex scenario belongs to the 14 2 boys. Mathematicians may be required to sort out tiebreaker scenarios with a win giving the Storm team a shot at 1st and a loss the possibility of dropping to 4th pending other results. On the girls side two costly losses by the under 16 first team leaves them half a game outside the final 5 with 1 game to play. The Storm girls will require a win in the final round and then be relying on rivals Geelong to drop their game. In this competition the playoff bracket isn’t big enough for the two clubs from the Barwon region! Demolition jobs by the 14 2 girls and 16 2 girls put the stamp in their passports to the playoffs. The 14s cruised past Collingwood 4 43-17 while the 16s cleaned up Melton by 31 points. A 7 point loss for the 14 1 girls did minimal damage to their campaign with the team locked in to play an elimination final in the first week of the playoff series. After an impressive win on the road at Warrandyte the 12 1 girls have kept destiny in their own hands in the final round of the season. Victory on their home deck against 9th placed Diamond Valley 3 is what’s required to send the girls to the playoffs for the first time in some of their careers. A loss however, opens the door for Warrandyte to sneak in at the last minute. With the season on the line expect the Storm girls to put in a strong performance.